The title of this week’s DKHQ Marine Fact sounds like a sci-fi animal; the visual being half coral, half octopus. Although not a sci-fi creature, this animal is a coral. When I use the word coral in conversation it often elicits responses such as, “Oh, you mean the coral in the Great Barrier Reef?” Yes, the Great Barrier Reef does have a diversity of beautiful corals, but you don’t have to travel to the tropics to see corals. The corals I am discussing today are found in the cooler temperate waters of Southern Australia. You may need to put on a thicker wetsuit to view them, but they are just as beautiful and colourful as their tropical cousins. Fact 1: The ‘octo’ in octocoral represents the eight feathery tentacles found on each polyp that form the coral. The feathery tentacles are attached to the stomach. Fact 2: Octocorals are filter feeders, meaning they eat microscopic organisms floating in the water column. The feathery tentacles, as described above, act like fingers swaying in the water current, capturing organisms such as plankton (microscopic animals) and phytoplankton (microscopic algae). Each tentacle is hollow, allowing the organisms to travel from the feathery tips down to the stomach. 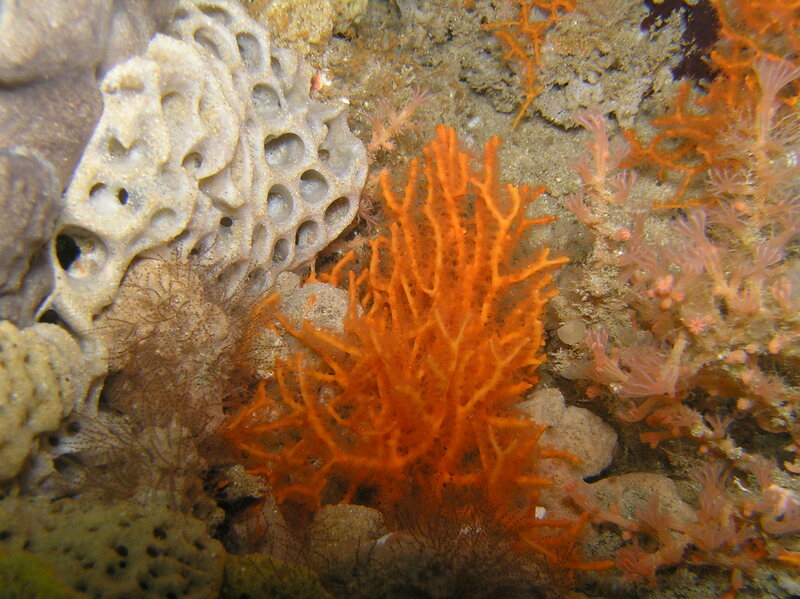 Fact 3: Octocorals form colonies that are attached to the seabed or other hard structures such as large rocks. Fact 4: To see octocorals you will need to SCUBA as they prefer to live at depths between 4-50m. 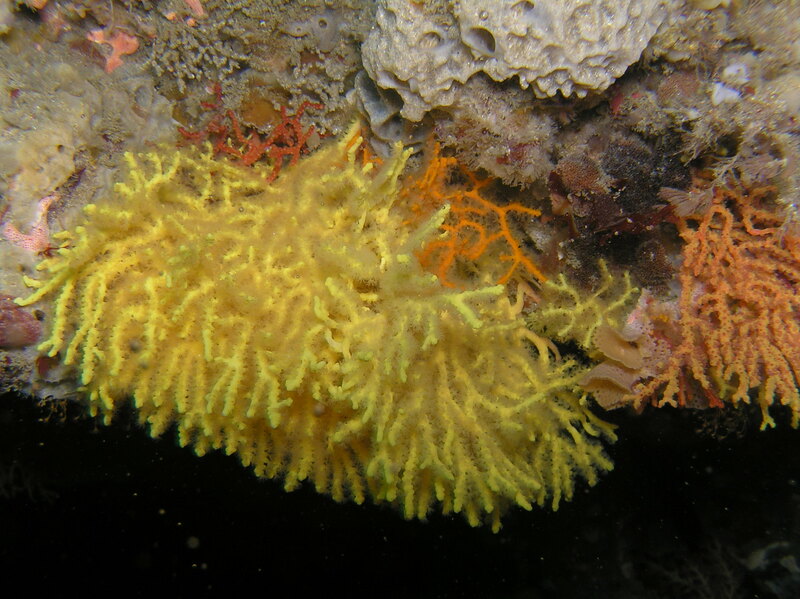 Fact 5: Octocorals are in the scientific Order Alcyonacea and consist of soft corals, gorgonians and sea whips.